This is gorg. 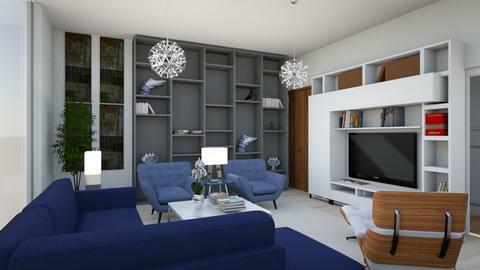 Love how you bring the eye to the TV and the bookcase with the blue wall and that light fixture. Thanks Tiffany! I really enjoyed making this. It just takes a lot more time compared to PV and there are glitches sometimes. I had to make do with a glass wall instead of a solid wall that doesn't want to render properly for some reason.